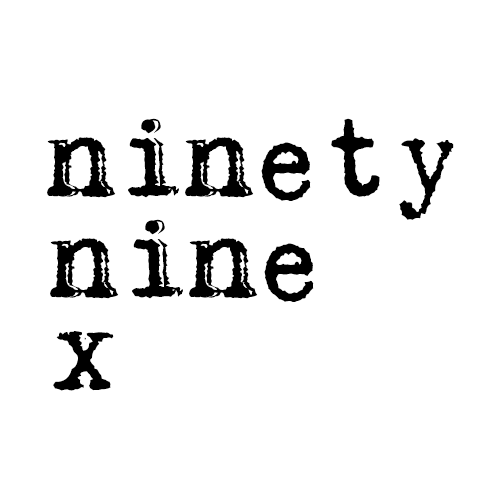 As the ball dropped on 2016, Cumulus has relaunched the venerable “99X” brand in Atlanta. 98.9 W255CJ/99.7 WWWQ-HD2 dropped their decoy AC “Warm 98.9” format after a week to bring “99X” back. Greg Ausham, PD of sister Classic Rock “Rock 100.5” WNNX, will add those duties at 99X as well. The newly resurrected format debuted with Journey’s “Don’t Stop Believin'” cut off in the middle leading into Nathaniel Ratliff & The Night Sweats’ “S.O.B.” and Cold War Kids “First”. Listen to the return of 99X at FormatChange.com. In the three plus years since dropping the Alternative format, iHeartMedia has established “Radio 105.7” as the Alternative station in the Atlanta market, while W255CJ has gone through iterations as Active Rock “98.9 The Bone“, Christian/Country “98.9 The Walk“, Oldies “True Oldies 98.9“, and Country “98.9 Nash Icon“. None of them made any impact in the market. Original Report 12/29: Cumulus Atlanta is planning something at their Atlanta cluster for New Years Day. As we are not one to leave a mystery alone, we happened upon the long dormant Twitter account for @99X, which just happens to have that hashtag front and center. Will the venerable Alternative Rock brand be returning to the market? If it does we expect it will be on its final home of 98.9 W255CJ and not its longtime home on 99.7 that is now CHR “Q100“. The 98.9 translator flipped this week to a satellite-fed Soft AC format, but that could just be a decoy. 99X debuted in October 1992 and quickly became one of the most influential Alternative stations in the country. The station flipped to CHR in 2008, but the brand would return on a series of translators between 2009 and 2012. Cox Media would bring back the X branding for an Alt Rocker in 2014 but that would flip to Country this past June. A return to Alternative would give a competitor to iHeartMedia’s “Radio 105.7” WRDA Canton/96.7 WRDG Peachtree City. You missed it before they wiped what was added. The image in our post was lifted directly from @99X. The empty @99X account has now been deleted, and the account name for @99xradio has been changed to @99X. The @99X account is now @99XATL and is now accompanied by Facebook and Instagram accounts with the same name. The new station is now tweeting with the @99X account. 99Xradio is a later handle, not the original. There are some really cool airchex of the 1990s version of 99X on Youtube. Shouldn’t the headline be 99X Atlanta Returns (Again)? Competition is good and not to piss on anyone’s parade, but one has to ask what kind of goodwill is left in a moniker that has been on/off the air and around the dial for a better part of a decade and who’s nostalgia harkens back to the station’s heyday 20+ years ago? And what are the “Vegas” odds on how long the station will last this time around? Forget “Atlanta”. Which neighborhood will that peashooter translator reach?